How to install TWRP on Lenovo A6000 – After updating Lenovo A6000 or Lenovo 6000 Plus become Android Lollipop, nowadays Custom Recovery that we shared in our last install TWRP on Lenovo A6000 Plus or install TWRP on Lenovo A6000 didn’t work properly because it was not compatible to Lollipop version. That’s why how hard you do it, what you’ve done doesn’t give any effect and just stuck on Lenovo logo. To fix and overcome this problem is enough easy, you just need to flash via Custom Recovery that is compatible with Lollipop. For additional information, all Lollipop version is compatible with TWRP but Custom Recovery on KitKat doesn’t provide dtb. That was the reason to be the failure of KitKat Recovery function on Lollipop. Actually TWRP A6000 or TWRP Lenovo A6000 is easy if there is something error happen or we understand all the step. Plug (connect) your phone to computer via USB cable! Open Minimal ADB fastboot folder and press CTRL +SHIFT on your keyboard (PC) do not release it click right mouse in empty space inside that folder! 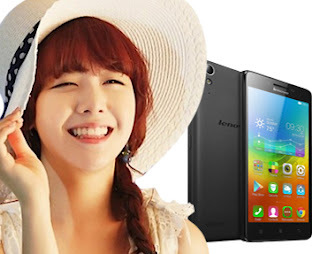 Belum ada tanggapan untuk "Guide to Install TWRP Recovery on Lenovo A6000 / A6000 Plus"